Climate change research has experienced bourgeoning popularity over the past two decades or so, and ecophysiology is one such field where this is no exception. Overwhelming evidence now suggests that the frequency of extreme temperature events will increase in the future. Tolerance of a wide range of conditions has allowed animals to adapt to niches from the constant and benign, to the extreme and highly variable. Understanding how organisms are capable of responding to this thermal variability in their surroundings, especially those thought to already occupy highly stressful environments, helps us to anticipate species responses to a warming world. One popular tool to predict species responses is the thermal performance curve (TPC) framework. Biologists simply expose the creatures to a wide range of temperatures and then measure responses that say something about their wellbeing. Using this framework, performance traits such as behavior and physiology are often studied, with consensus suggesting the thermal matching of these two responses. In other words, the temperatures at which organisms are found to be active are virtually the same as those that they can survive. Recent research by marine biologists who have worked on intertidal snails in Brunei advises that this isn’t always the case, however. 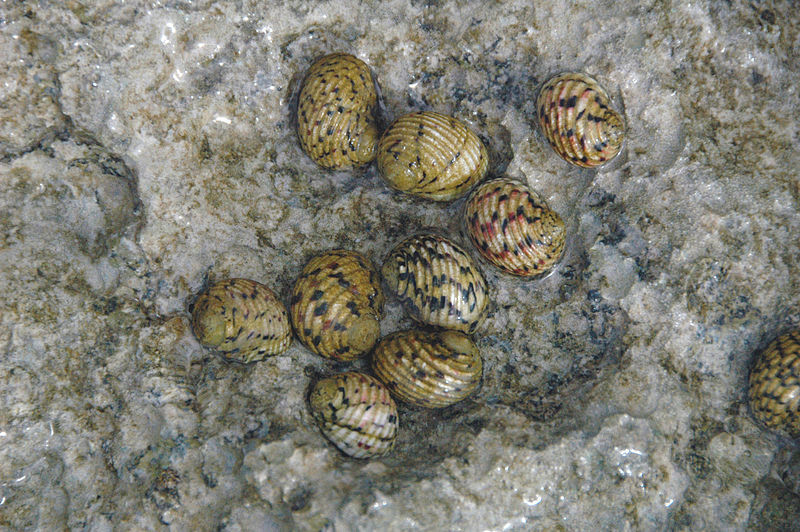 Six species of ectothermic marine snails which occur across a vertical gradient on Brunei’s tropical rocky shores were collected and subjected to controlled experiments of temperature-ramping. To test the generality of TPC theory, behavioral and physiological responses were studied by examining crawling speed/attachment to the substratum and heart rate, respectively. Additionally, biomimetic temperature loggers placed on the habitat gradient revealed that high shore species experienced maxima of 48.0°C compared to 41.0°C lower down. High shore snails thus experience both greater temperatures and longer bouts of desiccative emersion compared to lower shore species. Crawling speed measurements predictably increased with temperature up to the critical limit at which point signs of locomotory impairment or detachment from the substratum commenced. On the other hand, physiological TPCs were described for each species by measuring heart rates at increasing temperatures up to a lethal point. Researchers then compared the behavioral and physiological critical temperatures between species. The results showed that the vertical shore level had a strong effect on how decoupled organisms’ behavioral and physiological TPCs were. While the critical thermal limit for heart rate was only slightly higher than the behavioral critical limit in lower shore snails, this mismatch increased positively with shore height. This finding differs from conventional TPC expectations, presenting a novel insight into fine-scale details of a response to habitat-level variables. Researchers concluded that because high shore snails limit their activity to a subset of their thermal environment to prevent drying out during aerial exposure at very high temperatures, TPCs evolved under different constraints for physiology and behavior. The authors thus suggest caution when applying TPC theory to organisms other than those which inhabit relatively stable or benign thermal envelopes, or those which can thermoregulate by behaviourally avoiding extreme microclimates. This warning applies to examples such as desert snails and toads as well as other intertidal gastropods, where the threat of desiccation demands inactivity to limit evaporative water loss. This considered, mechanistic predictions concerning the impacts of climate change on distribution models and species interactions can be improved. These findings are described in the article entitled Decoupling of behavioural and physiological thermal performance curves in ectothermic animals: a critical adaptive trait, published in the journal Oecologia. This work was led by Monaco, C.J., McQuaid, C.D. and Marshall, D.J from Rhodes University and the Universiti Brunei Darussalam. 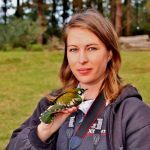 Diane Smith is a Field Ecologist, Avifaunal monitor, and Graduate Scientist at Rhodes University.